Express Employment Professionals of Tuscaloosa, AL is a leading staffing provider helping job seekers find work with a wide variety of local businesses. What sets Express Tuscaloosa apart from other Tuscaloosa area staffing agencies? We like to think it’s our best of both world’s approach. We offer the close, personal assistance of a boutique staffing agency combined with best-in-class systems and support that come with our award-winning, international brand: Express Employment Professionals. When you choose Express Tuscaloosa as your staffing agency, you’ll experience the best the service and support in the employment industry. At Express Tuscaloosa, we’re proud of our roots in Western Alabama. As a locally owned and operated company, we’ve developed close, personal relationships with many of Tuscaloosa’s business leaders. Our success in Tuscaloosa led businesses in other nearby communities to turn to us for their staffing agency needs. Express Tuscaloosa now proudly calls itself partners with businesses across the Tuscaloosa County region, including those in Eutaw, Vance, Gordo, and Fayette. We’re immensely grateful for all that we’ve received from the Tuscaloosa area, which is why our staffing agency works so hard to give back – by connecting quality people with quality companies. 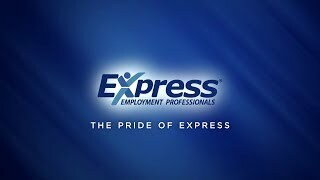 Express Tuscaloosa is proud to be part of the Express Employment Professionals group, an award-winning, international leader in staffing agency services and systems. Founded in 1983, Express Employment Professionals has given more than 5 million people the gift of employment. Currently, staffing agencies affiliated with Express Employment Professionals employ over 500,000 people across three different continents. Thanks to the support that comes with this affiliation, Express Tuscaloosa is able to combine our personal approach with leading systems, tools, and support programs for job seekers and employers alike. Our staffing agency’s affiliation with Express Employment Professionals gives us access to career development programs for workers, workforce management solutions for businesses, and allows us to offer a generous benefits package to Express Tuscaloosa Associates. Since day one, Express Tuscaloosa has been committed to building Tuscaloosa’s business community. Our staffing agency helps job seekers find positions in a wide range of industries thanks to the relationships we’ve built in the local community. Meanwhile, employers rest easy knowing that our systems, which include our ISO 9001:2008 registered hiring process, ensure they’re matched with qualified, hard-working individuals. If you’re interested in working with our staffing agency, call our Tuscaloosa office at (205) 758-0080. Or – if you’re looking for employment – browse our online Job Openings, then Create an Account to upload your resume and apply online.